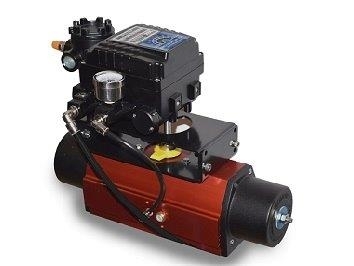 The RC200 is an extremely compact pneumatic actuator. Its scotch yoke design is particularly suited for valves with high start or end torque requirements. 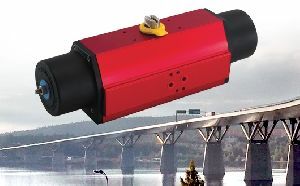 It is available in double-acting and spring-return configurations with torque output up to 4,400 Nm (38,000 lbf.in). The RC200 is available in a variety of configurations and an extensive range of options and accessories is available. RC200 actuators have BSP threaded ports and metric threads for mounting. A variant for the Americas (RCI200) comes with NPT ports and imperial threads for mounting. See RC200 literature page for further details.